In recent weeks, the euro has been at its highest level, relative to the US dollar, that we've seen in the last three years. 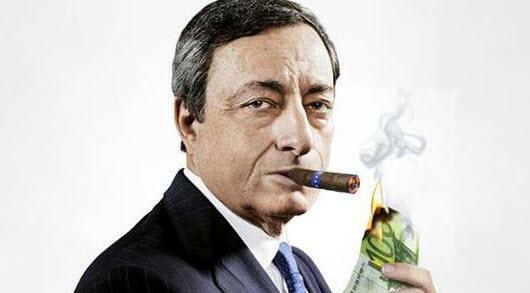 This is a movement that surprises when the European Central Bank is carrying out the most aggressive monetary expansion in the world after the Bank of Japan. A strong euro is not a problem for any European citizen. European households keep a large part of their financial wealth in deposits. Additionally, a strong euro curbs inflation in imported products, mainly energy and food, generating a significant wealth effect. If we look at the commodity index between January 6, 2017 and January 12, 2018, we can see that it has fallen by more than 12% in euros, while it is slightly up in US dollars. For the average European citizen, a stable or strong euro is a blessing, and one of the essential factors for the recovery of household disposable income. A strong euro has not been a problem either for exports. Spain, for example, has increased by 53% the weight of exports in GDP in the last five years and Eurozone exports in 2017 marked a record, growing more than the average of global trade and with a record trade surplus, which is one of the decisive factors explaining the euro strength. But a strong euro is bad news for central planners, indebted states and obsolete or low value-added sectors that need the hidden subsidy of devaluation. A strong euro destroys the ECB expectations of inflation, the increase in estimated profits of the low productivity sectors and puts in danger the debt reduction of inefficient states, which have been unable to reduce their deficits quickly enough. The ECB´s monetary policy, which becomes an assault on the savers and efficient sectors to subsidize the inefficient and indebted, does not work in a globalized world with open economies. And, ironically, that is good for European families, who see their wealth in deposits strengthen and stable disposable income because inflation is low. Although the European Central Bank maintains ultra-low rates and monthly repurchases of 30,000 million euros, they are unable to devalue as they would like. The European central planner must scratch its head thinking why. The US economy accelerates its growth, inflation expectations rise, the trade deficit is at decade-lows, the Federal Reserve is raising interest rates … And the US dollar does not strengthen. The main explanation lies in the trade surplus of China and the Eurozone. Central banks should know it is difficult to have rising trade profits and weakening currencies. A weak dollar while the US economy grows as it is, means an opportunity for the Federal Reserve. It can raise rates and strengthen options ahead of a global slowdown without worrying about its currency. Will Powell use this opportunity? The problem for the European Union is that if the ECB keeps trying to create inflation by decree it does not get it, and also creates greater imbalances. If it tries to contain the euro, it puts Europe in even worse risks, that may generate greater problems in the medium term. And if it the ECB tries to contain the increasing risks, the euro will revalue. This means goodbye to the ECB inflation expectations. My estimates suggest that twelve consecutive months with the euro/US dollar above 1.21 would bring inflation expectations in the Eurozone to 1.3% compared to the 2% target, bring the Eurostoxx 100 earnings growth estimates from +8%, go to 0%, as low added-value exporters would suffer lower sales and banks see weaker margins due to low inflation and low rates. Another factor is China, which tries to strengthen its global position by selling dollars. But China has increased its debt in 2017 by more than the UK’s GDP, and its trade surplus suffers from a weak US dollar and an artificially high yuan. All this proves that currency wars are useless in open economies. Central planners and their batteries of Keynesian analysts are surprised that economies do not work as their Excel spreadsheets assume. Expected correlations and causations fail. But they do not admit their own mistakes. They do not attribute it to the fact that their correlations and estimates are obsolete and wrong, but that “not enough was done” and “it would have been worse” ( read Paul Romer ) and their religious faith in interventionism remains untouchable. The ECB should be concerned about what it can really do, which is to monitor the risks of excess debt, bubbles, and disconnection between bond yields and reality. It should worry, for example, that the Greek two-year bond trades at a lower yield than the US 2-year bond, which is a monstrosity. Do not worry. If it explodes, they will tell us that it was due to lack of regulation.